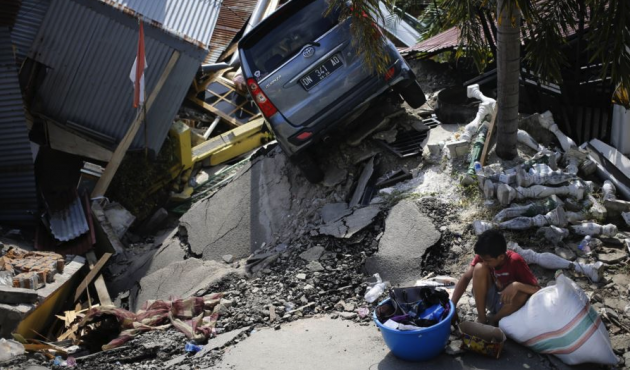 UNICEF warns that tens of thousands of child survivors of the devastating earthquake and tsunami that hit Sulawesi in Indonesia are unprotected and vulnerable to exploitation. Simply pumping money into anti-trafficking efforts will not achieve a global goal of ending modern slavery by 2030, experts said, urging greater cooperation between governments, companies and charities to raise awareness and take more action. Anglo-Dutch giant Unilever topped a list ranking how well food and drink companies tackle the risk of forced labour in their supply chains, ahead of Kellogg Company and Coca-Cola. A potential victim of modern slavery has been rescued after living in a shed for 40 years, according to the Gangmasters and Labour Abuse Authority. Officers found the 58-year-old British man with just a chair and soiled bedding during a raid at a residential site north of Carlisle. Thousands of African migrants who, after failing to reach Europe in search of a better life, have been flown home from North Africa by the IOM with funding from the EU, but many returning migrants are struggling to get their lives back on track.